Marvin John Heemeyer (October 28, 1951 – June 4, 2004) was an American welder and an automobile muffler repair shop owner who went on a rampage with a modified bulldozer. Outraged over zoning disputes, he armored a Komatsu D355A bulldozer with layers of steel and concrete and used it on June 4, 2004 to demolish the town hall, the former mayor's house, and other buildings in Granby, Colorado. The rampage ended when the bulldozer became stuck in the basement of a Gambles store he was in the process of destroying. Heemeyer then committed suicide. Heemeyer lived in Grand Lake, Colorado, about 16 miles (26 km) away from Granby. According to a neighbor, Heemeyer moved to town more than 10 years before the incident. 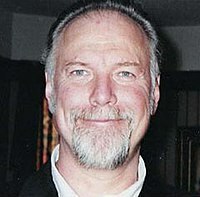 Heemeyer's friends stated that he had no relatives in the Granby–Grand Lake area. John Bauldree, a friend of Heemeyer, said that Heemeyer was a likable person. Ken Heemeyer said his brother "would bend over backwards for anyone". While many people described Heemeyer as an affable person, local resident Christie Baker claimed that her husband was threatened by Heemeyer after refusing to pay for a disputed muffler repair. Baker said her husband later paid Heemeyer $124 via an intermediary. In 1992, Heemeyer purchased 2 acres (0.8 ha) of land from the Resolution Trust Corporation, the federal agency organized to handle the assets of failed savings and loan institutions. He purchased the land for $42,000 to build a muffler shop and subsequently agreed to sell the land to Cody Docheff to build a concrete batch plant, Mountain Park Concrete. The agreed price was $250,000. According to Susan Docheff, Heemeyer changed his mind and increased the price to $375,000, and later demanded a deal worth approximately $1 million. Some believed that this negotiation happened before the rezoning proposal was heard by the town council. In 2001, the zoning commission and the town's trustees approved the construction of a concrete batch plant. Heemeyer attempted to appeal the decision but was unsuccessful. It is claimed[by whom?] that the construction blocked access to the shop. Heemeyer was subsequently fined $2,500 by the Granby town council for various violations, including "junk cars on the property and not being hooked up to the sewer line;" he had apparently tried to cross 8 feet (2.4 m) of the concrete factory land to hook up to the sewer line. He was discovered to be dumping the waste from his improvised tank directly into an irrigation ditch, resulting in the fine. Heemeyer used this armor-plated Komatsu D355A bulldozer to destroy 13 buildings in Granby, Colorado. Heemeyer leased his business to a trash company and sold the property several months before the rampage. Notes found by investigators after the incident indicated that the primary motivation for the bulldozer rampage was his plan to stop a concrete plant from being built near his shop. These notes indicated that he held grudges over the zoning approval. "I was always willing to be reasonable until I had to be unreasonable", he wrote. "Sometimes reasonable men must do unreasonable things." Heemeyer took about a year and a half to prepare; in his notes he wrote: "It is interesting to observe that I was never caught. This was a part-time project over a ​1 1⁄2 year time period." Clearly he was surprised that several men, who had visited the shed late the previous year, had not noticed the modified bulldozer "especially with the 2000-pound [900kg] lift fully exposed ... somehow their vision was clouded." The bulldozer was a modified Komatsu D355A, fitted with makeshift armor plating covering the cabin, engine, and parts of the tracks. In places, this armor was over 1 foot (30 cm) thick, consisting of 5000-PSI Quikrete concrete mix sandwiched between sheets of tool steel (acquired from an automotive dealer in Denver), to make ad-hoc composite armor. This made the machine impervious to small arms fire and resistant to explosives. Three external explosions and more than 200 rounds of ammunition fired at the bulldozer had no effect on it. For visibility, the bulldozer was fitted with several video cameras linked to two monitors mounted on the vehicle's dashboard. The cameras were protected on the outside by 3-inch (76 mm) shields of bulletproof plastic. Compressed-air nozzles were fitted to blow dust away from the video cameras. Onboard fans and an air conditioner were used to keep Heemeyer cool while driving. He had made three gun-ports, fitted for a .50 caliber rifle, a .308 semi-automatic rifle, and a .22LR rifle, all fitted with a one-half-inch-thick (1.3 cm) steel plate. Heemeyer apparently had no intention of leaving the cabin once he entered it. Authorities speculated that he may have used a homemade crane – found in his garage – to lower the armor hull over the dozer and himself. "Once he tipped that lid shut, he knew he wasn't getting out," Daly said. Investigators searched the garage where they believed that Heemeyer built the vehicle and found cement and armor steel. Only Heemeyer died in the event (by a self-inflicted gunshot wound). However, the modified bulldozer came to be known as "Killdozer" after the name of a short story by Theodore Sturgeon. On June 4, 2004, Heemeyer drove his armored bulldozer through the wall of his former business, the concrete plant, the Town Hall, the office of the local newspaper that editorialized against him, the home of a former mayor (in which his widow then resided), and a hardware store owned by another man Heemeyer named in a lawsuit, as well as a few others. Owners of all of the buildings that were damaged had some connection to Heemeyer's disputes. The attack lasted for two hours and seven minutes, damaging 13 buildings, knocking out natural gas service to City Hall and the concrete plant, damaging a truck, and destroying part of a utility service center. Despite the great damage to property, no one besides Heemeyer was killed. The damage was estimated at $7 million. According to Grand County commissioner James Newberry, Grand County emergency dispatchers used the reverse 911 emergency system to notify many residents and property owners of the rampage going on in the town. Defenders of Heemeyer contended that he made a point of not hurting anybody during his bulldozer rampage; Ian Daugherty, a bakery owner, said Heemeyer "went out of his way" not to harm anyone. Others offered different views. The sheriff's department argued the fact that no one was injured was not due to good intent as much as to good luck. Heemeyer had installed two rifles in firing ports on the inside of the bulldozer, and fired 15 bullets from his rifle at power transformers and propane tanks. "Had these tanks ruptured and exploded, anyone within one-half mile (800 m) of the explosion could have been endangered," the sheriff's department said. Twelve police officers and residents of a senior citizens complex were within such a range. The sheriff's department also asserted Heemeyer fired many bullets from his semi-automatic rifle at Cody Docheff when Docheff tried to stop the assault on his concrete batch plant by using a wheel tractor-scraper, which was pushed aside by Heemeyer's bulldozer. Later, Heemeyer fired on two state patrol officers before they had fired at him. The sheriff's department also noted that 11 of the 13 buildings Heemeyer bulldozed were occupied until moments before their destruction. At the town library, for example, a children's program was in progress when the incident began. One officer dropped a flash-bang grenade down the bulldozer's exhaust pipe, with no apparent effect. Local and state patrol, including a SWAT team, walked behind and beside the bulldozer, occasionally firing, but the armored bulldozer was impervious to their shots. Attempts to disable the bulldozer's cameras with gunfire failed as the bullets were unable to penetrate the 3-inch (7.6 cm) bulletproof plastic. At one point, Undersheriff Glenn Trainor climbed atop the bulldozer and rode it "like a bronc-buster, trying to figure out a way to get a bullet inside the dragon". However, he was forced to jump off to avoid being hit with debris. At this point, local authorities and the Colorado State Patrol feared they were running out of options in terms of firepower, and that Heemeyer would soon turn against civilians in Granby. Then-governor Bill Owens allegedly considered authorizing the National Guard to use either an Apache attack helicopter equipped with a Hellfire missile or a two-man fire team equipped with a Javelin anti-tank missile to destroy the bulldozer, only to deem the option unnecessary due to Heemeyer getting stuck in the Gambles hardware store. As late as 2011, Governor Owens' staff still vehemently denied considering such a course of action, but since then members of the State Patrol revealed that, to the contrary, the governor did consider authorizing an attack but ultimately decided against it due to the potential for collateral damage of a missile strike in the heart of Granby being significantly higher than what Heemeyer could have caused with his bulldozer. Two problems arose as Heemeyer destroyed the Gambles hardware store. The radiator of the dozer had been damaged and the engine was leaking various fluids, and Gambles had a small basement. The bulldozer's engine failed, and Heemeyer dropped one tread into the basement, but could not get out. About a minute later, one of the SWAT team members, who had swarmed around the machine, reported hearing a single gunshot from inside the sealed cab. It was later determined that Heemeyer had shot himself in the head with a .357-caliber handgun. Police first used explosives in an attempt to remove the steel plates, but after the third explosion failed, they cut through them with an oxyacetylene cutting torch. Grand County Emergency Management Director Jim Holahan stated that authorities were able to access and remove Heemeyer's body at 2:00 a.m. on June 5. On April 19, 2005, the town announced plans to scrap Heemeyer's bulldozer. The plan involved dispersing individual pieces to many separate scrap yards to prevent souvenir-taking. In addition to writings that he left on the wall of his shed, Heemeyer recorded a number of audio tapes explaining his motivation for the attack. He mailed these to his brother in South Dakota shortly before stepping into his bulldozer. Heemeyer's brother turned the tapes over to the FBI, who in turn sent them to the Grand County Sheriff's Department. The tapes were released by the Grand County Sheriff's Office on August 31, 2004. The tapes are about 2.5 hours in length. The first recording was made on April 13, 2004. The last recording was made 13 days before the rampage. "God built me for this job," Heemeyer said in the first recording. He also said it was God's plan that he not be married or have a family so that he could be in a position to carry out such an attack. "I think God will bless me to get the machine done, to drive it, to do the stuff that I have to do," he said. "God blessed me in advance for the task that I am about to undertake. It is my duty. God has asked me to do this. It's a cross that I am going to carry and I'm carrying it in God's name." Investigators later found Heemeyer's handwritten list of targets. According to the police, it included the buildings he destroyed, the local Catholic church (which he didn't damage), and the names of various people who had sided against him in past disputes. ^ a b c d e f g h "Man who bulldozed through Colo. town is dead". Msnbc.com. June 5, 2004. Archived from the original on October 23, 2013. Retrieved August 31, 2006. ^ a b c d Best, Allen (July 2004). "The Dark Side of Paradise". Colorado Central Magazine. Archived from the original on March 11, 2007. Retrieved June 5, 2007. ^ "Armed man goes on bulldozer rampage". UMDstudents.com. Archived from the original on February 20, 2007. Retrieved June 5, 2007. ^ a b Ingold, John; Brittany Anas; Howard Pankratz (June 6, 2004). "'Something snapped': Suspect called emotional, angry over rezoning fight". The Denver Post. pp. A01. 'He has threatened my husband's life,' resident Christie Baker recalled. 'He threatened my husband over a muffler.' Baker said she and her husband, Doug, had taken a truck to Heemeyer's shop, and he installed the wrong type of muffler on it. They refused to pay, and Christie Baker said they soon heard through word of mouth about Heemeyer's threat. They paid the $124 in cash, using an intermediary to give Heemeyer the money, she said. ^ a b c d "Dozer rampage roots run deep". Durango Telegraph. June 24, 2004. Retrieved March 7, 2008. ^ "Granby Rampage Damage Expected To Exceed several Million". KMGH-TV. June 7, 2004. Archived from the original on January 15, 2007. Retrieved September 7, 2006. ^ a b "Rampager was surprised his plans went unnoticed". The Spokesman Review. June 10, 2004. Archived from the original on March 11, 2007. Retrieved June 6, 2007. ^ a b "Crews Begin Dismantling Granby Bulldozer". KMGH-TV. April 15, 2005. Retrieved June 27, 2006. ^ "Shockwave Episode 08". The History Channel. February 1, 2008. Archived from the original on March 26, 2008. Retrieved February 1, 2008. ^ Poppen, Julie (2004-10-24). "After bulldozer rampage, town strives to rebuild trust". The Boston Globe. Retrieved 2006-08-31. ^ "Rampages – Tanks, Bulldozers, Whatever You Got!". Archived from the original on 2006-10-17. ^ Jason, Bellows. "The Wrath of the Killdozer". DamnInteresting.com. Retrieved 19 May 2014. ^ Bina, Tonya. "Granby: 2004 bulldozer rampage subject of History Channel program". Sky-Hi Daily News. Retrieved May 18, 2008. ^ Correll, Deedee (June 6, 2004). "Grudge spawns trail of destruction: Granby man kills himself after rampage in armor-plated bulldozer". The Gazette. Colorado Springs. Archived from the original on April 5, 2016. Retrieved January 17, 2016 – via HighBeam Research. (Subscription required (help)). ^ "Interior of Bulldozer". The Denver Post. Retrieved September 26, 2007. ^ Franscell, Ron (2011-04-05). The Crime Buff's Guide to the Outlaw Rocky Mountains. Guilford, Connecticut: Morris Book Publishing LLC. pp. 107–108. ^ Banda, P.Solomon (June 6, 2004). "Officials: Man who drove bulldozer is dead". The Oakland Tribune. San Jose. Archived from the original on April 5, 2016. Retrieved January 17, 2016 – via HighBeam Research. (Subscription required (help)). ^ Crecente, Brian D. (March 1, 2005). "Dozer digs its own grave: Used by angry resident to attack Granby, machine to be dismantled as scrap". Rocky Mountain News. Denver. Archived from the original on April 5, 2016. Retrieved January 17, 2016 – via HighBeam Research. (Subscription required (help)). ^ Woodward, Paula. "Newly released audiotapes detail reasons for Granby bulldozer rampage". KUSA-TV. Retrieved June 6, 2009. ^ "Man Who Bulldozed Granby Says He Got Idea From God". KMGH-TV. Archived from the original on April 13, 2008. Retrieved April 8, 2008. ^ "7NEWS Looks Inside Granby Work Shed Where 'Dozer Was Outfitted". KMGH-TV. Archived from the original on 2008-02-22. Bagsarian, Tom (November 1, 2005). "Terror in Granby" (PDF). The Concrete Producer. Rosemont, IL: Hanley Wood. Archived from the original (PDF) on April 14, 2016. Retrieved January 17, 2016. "Rampage In Granby". The Denver Post. June 6, 2004. This page was last edited on 18 April 2019, at 18:59 (UTC).